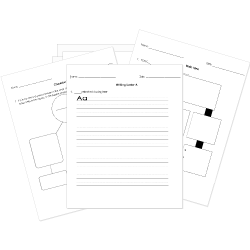 You can create printable tests and worksheets from these Grade 7 Adverbs questions! Select one or more questions using the checkboxes above each question. Then click the add selected questions to a test button before moving to another page. The rain was pouring loud on the roof. The teacher asked us to wait patient. The sun shines bright over the lake. We frequently arrive before the start of class. When shall we leave for the move? Some fruit trees bloom EARLIER than others. My younger brother walked sleepily toward the living room. In the following sentence, pick out the ADVERB. Cameron whispered softly to him. Where? When? How? To what extent? When? How often? How long? Where? When? How? How often? To what extent? How often? Who that be? How much? To what extent? If you aren't sure whether a word is an adjective or an adverb, ask yourself what it modifies. If a word modifies a noun or a pronoun, it is an . Javier ran quick into the ELD class. An adverb that modifies a verb maybe located anywhere in the sentence. What four questions does an adverb answer?